Santa Clara County and San Jose leaders on Tuesday will consider housing measures as the pressure to protect renters continues to swell. Kris Sanchez reports. 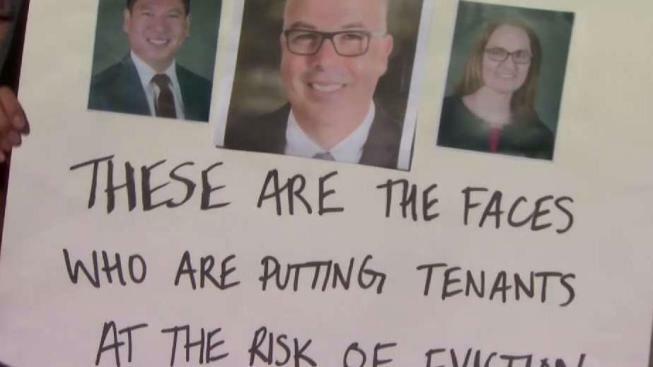 Santa Clara County and San Jose leaders on Tuesday will consider housing measures as the pressure to protect renters continues to swell. The San Jose City Council at 1:30 p.m. will consider a number of rent control options, including one measure that would cap increases and another that would tie increases to the consumer price index. County leaders at 9:30 a.m. will mull using nearly $45 million in loans to help spur low income housing developments. According to a recent report focusing on the Bay Area's high housing costs, nearly half of renters are struggling to pay for a place to live. The report also found that 25 percent of renters spend half of their income on rent while 50 percent of renters spend a third of their income on rent. If city and county leaders fail to take action, housing advocates say working families will end up homeless or experience fewer protections.